Gurgaon is the new IT city of India. It is not only a recently developed commercial hub near Delhi and has been constantly expanding and evolving. With the increasing popularity, new developments in every sector are taking place. And in the past few years, more and more famous hospital chains have come up due to increasing demand of effective and authentic medical treatments. Now, the city has some of the most popular multi specialty hospitals which have been offering a wide range of medical and healthcare services in the city. 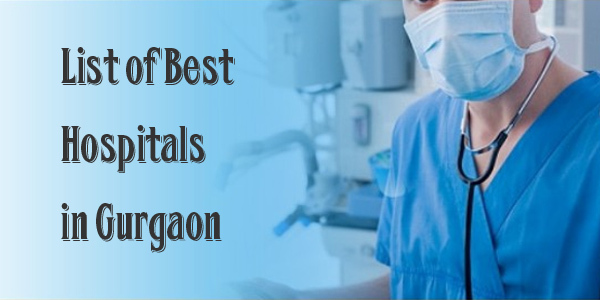 This article brings you the list of the best hospitals in Gurgaon which are known for their finest treatments and medical services. Medanta is one of largest multi-super specialty institutes located in Gurgaon, India. It is known for offering a wide range of medical services and ensuring high quality standards. Founded by eminent cardiac surgeon, Dr. Naresh Trehan, the hospital also offers options for clinical research, education and training. Medanta is governed under the guiding principles of providing medical services to patients with care, compassion, commitment. Max Healthcare Hospital is one of the most popular names in Gurgaon for effective medical facilities. It is a multi specialty hospital offering a wide range of healthcare services using the latest technology to ensure the finest medical services to patients. The staff promises satisfactory results to every patient. It has brilliant infrastructure and sought out administration which makes it a wonderful choice amongst patients. Artemis Hospital ranks high on the list of most popular hospitals in Gurgaon. It is known to offer best cardiac care facilities in the city. It is well equipped with modern technology and equipments along with a wonderful medical team to promise effective solutions to different kinds of medical conditions. Though it is famous for its cardiac treatments but there are also various other departments which have been doing good. Located at the DLF city, Privat Hospital is one of the most popular multi specialty hospitals in the city of Gurgaon. It has the team of the finest doctors which take the best care of the patients by making the best use of latest techniques for treatments using modern technology. Some of the departments at the hospital include Nephrology, Cardiology, Dermatology, Plastic Surgery and Urology. Paras Hospital is another very famous and well known hospital in the city. It is a popular multi specialty, super care hospital which is equipped with the finest team of medical professionals. It has been offering world class health services to patients since its establishment and is also known for various workshops, drills, seminars and training sessions for the staff to hone their skills. Fortis Memorial Research Institute is a multi-super specialty, quaternary care hospital in Gurgaon is one of the best hospitals in the city. It is equipped with an enviable international faculty, reputed clinicians, including super-sub-specialists and specialty nurses with use the cutting-edge technology to deliver the best treatments. Kalyani Hospital ranks amongst the most popular hospitals in the city of Gurgaon. A brilliant infrastructure, brilliant equipments, world class services, and international health care measures are some of the highlights of this medical institution. It also offers funds to poor people for cost effective treatments. Umkal Hospital is a multi specialty hospital. It has been known for its finest treatments which have earned it a high rank with other popular hospitals in the cityWith amazing technology, machinery, teams and equipments; it has won many hearts and awards. Life Aid Medical Centre is only 10 years old in the city and in this short span it has managed to be in the list of the top most hospitals in Gurgaon. Since its inception in 2001, it has been offering the best of the medical facilities to the patients. It was started by a doctor couple with a vision of world class medical services to patients and now they are a popular name. Address: Life Aid Medical Centre, 1097, Sector-40, Near Unitech Cyber Park, Sector 40, Gurgaon. Civil Hospital is a government hospital which is quite popular in the city for its wonderfully effective treatments. It has a finest team of specialists, staff, nurses and housekeepers in various departments who promise the best treatments to patients. Address: Civil Hospital, Opposite Municipal Committee, Gurgaon.